Blog | M&M Mechanical, Inc.
Posted March 24, 2016 at 4:53 pm by M&M Mechanical, Inc. & filed under M&M Mechanical . 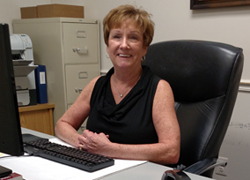 Betsy has been with M&M Mechanical, Inc. for 29 years. She is a tremendous asset to our company, and her dedication is a huge contribution to our success. We can always count on Betsy to come through for us and keep everything going. Thank you, Betsy, for your hard work, dedication and loyalty through the years. Posted March 10, 2016 at 8:44 pm by M&M Mechanical, Inc. & filed under General Tips . When it comes to heating your home, one of the most important things is that you have a well-functioning heater or furnace. To help make sure this is the case, it is suggested that you service your heater regularly. Here is some information to help you determine when the best time to service your heater is. The best practice to undergo, when it comes to servicing your heater, is to do so on an annual basis. A technician should come to your home and review your entire system. In the end, this will help determine if any issues are present that need to be addressed. In some instances, it is even a good idea to take a look at your furnace or heater when the season changes. This could be a good time to make sure it is ready for being used for the winter or being turned off during the summer. If you notice your furnace is not working properly, it is definitely time to think about servicing it. Doing so can help make the entire system last longer and work more efficiently. While you are working through these issues, you should also make sure you are cleaning your furnace and keeping debris from getting inside its working parts. Avoiding servicing your heater could lead to serious issues like carbon monoxide poisoning or even house fires. For best results, make sure yours is being serviced at least on an annual basis. This will help keep you warm and safe in your home. If your heating system needs servicing, visit our website today to schedule service. Posted February 25, 2016 at 8:03 pm by M&M Mechanical, Inc. & filed under Equipment Tips, General Tips . This time of year, our heating systems work overtime keeping our families safe and warm. But sometimes, it’s that same system that contributes to illness. If your family members have some respiratory issues that they just can’t shake, getting your ductwork cleaned may help tremendously. Your heating system takes the air in your home, and circulates it through your HVAC system. That means any dust, dander, and other air pollutants keep getting pushed around. Some of that settles in the ductwork, and every time the furnace kicks on, it contributes to poor air quality. People with asthma and allergies are particularly susceptible to problems when the furnace ducts are dirty. Any time air quality isn’t optimal, asthma sufferers are put at risk and may experience more symptoms than usual. Winter allergies are also a big problem this time of year. Those with allergies to dust, dander, mites, and mold may have ongoing issues because all of these things accumulate in the ductwork, and people are spending more time indoors, where those allergens are present. Then there are the average cold and flu viruses that are typical for the winter. While dirty ducts don’t cause these issues, the below average air quality can make a full recovery take longer than usual. When you call for a professional duct cleaning, some companies simply show up and clean out the major air passageways. First, contact a company that will do a complete inspection to make sure your ducts need cleaning. Then, make sure they clean the entire system, including coils, coil drain pans, plenums, air filters, ducts, fans, vents and registers. When a thorough cleaning is done, you can rest assured that your air quality problems will improve. If you have any questions about your duct system or getting it cleaned, contact us today at (703) 751-1011. Posted February 4, 2016 at 8:35 pm by M&M Mechanical, Inc. & filed under General Tips . When you decide that you are willing to buy an older home, you’ll probably be making an effort to look for properties that have some upgraded features, such as the plumbing system, electrical system, or roofing. However, with an older home inevitably come some older, outdated systems. If the heater is severely outdated, you should absolutely get a new heating system installed to jump start the home’s overall energy efficiency. During the end of fall, throughout all of winter, and even partially into spring, you may need to rely on your heating system to stay at a manageable temperature inside your home. Although you can put on multiple layers of clothing and carry around a warm blanket, you will find that heating costs can add up quickly when you have an old heating system on your hands. An ideal solution is to invest in a heating upgrade, which requires an entirely new installation to keep heating costs to a minimum. When you upgrade the heating in your home, you will not have to stress about the substantial costs that come with running your heater since it will be extremely energy-efficient compared to your old system. By installing a new heating system, you can enjoy a long-term solution, especially when you get professional assistance for thorough inspections and standard maintenance on an annual basis. Although installing a new heating system can feel expensive at the time of installation, it’s an important long-term investment for your home. The year-over-year savings you’ll enjoy will more than make up for the installation cost. 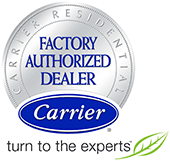 Ready to look into installing a new system in your older home? Give us a call – we’re happy to help! Posted January 21, 2016 at 2:16 pm by M&M Mechanical, Inc. & filed under General Tips . So you’ve finally decided to remodel your basement. Perhaps you’re planning to earn some extra cash by renting out a basement apartment. Or maybe you’ve decided to work close to home, and have realized that you could utilize the unused space in your basement. Whatever the case is, you’re likely spending thousands of dollars to transform your dark and dank basement that was once home to dust and spiders into a beautiful, new living space that will serve your future needs. Remodeling your basement involves a lot of tasks. Are the walls insulated? Check. Was the plumbing taken care of? Check. Flooring and roofing? Check. Will the painter be here next week? Check. Taking care of the vast amount of chores can be absolutely mind-boggling, and there may very well be a thing or two that you have left out. Well, here is one thing that you absolutely don’t want to miss: Is the heating installed? You certainly do not want to suddenly be faced with the prospect of working in a cold office in the wintertime. And you’ll have a tough time renting out a basement apartment with no heating! But don’t worry – we can help! Don’t hesitate to contact us for all your heating installation needs. Whether you are fortunate and you are still in the process of remodeling your basement, or whether heating installation was one of the things you missed when your basement was redone, we will help you have a warm and comfortable winter.